Azura Genomics is delighted to introduce Azura PureView™ DNA Ladders, a complete range of cost-effective, ready-to-load molecular weight markers including loading buffer in a single tube, enabling simple and accurate DNA sizing. For easy visual identification and orientation, PureView™ DNA Ladders also contain high-intensity reference bands. 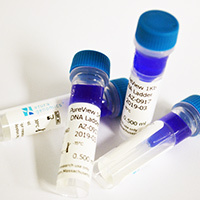 The ready-to-load format minimizes the time spent thawing, diluting and adding tracking dye to the DNA ladder. Simply transfer 5µl of PureView™ DNA Ladder from the vial to the gel. Azura Genomics is now available on Quartzy! © 2018 Azura Genomics. All Rights Reserved.